I’ve been thinking a lot lately about the quality of the preaching in the pulpits within the Church currently, and I am growing increasingly concerned about the Church moving further and further away from the unique strengths of Gospel preaching as we have received it from generations previous to ours. I’m going to frame my concerns by referring to temptations preachers face. I’m coming at this, of course, from my perspective and convictions as a Spirit-filled, confessing, orthodox Christian, committed to the Sacred Scriptures, having vowed to preach and teach the Word of God in conformity to the Word of God. This is no mere finger pointing exercise, this is a chance for me to reflect on how these temptations impact me when I preach. The “Therapeutic Temptation” is one that would have preachers use their sermons to give what amounts to little more than a pep talk, often in the context of cute, touching, emotional or an otherwise manipulative story, either real, or made up. I’m referring to the infamous, “There was once a little boy who…” or the, “There was a man who said/did…” These sermons will be marked by a preaching of Law that is soft and squidgy around the edges, it’s not a preaching of God’s holy, righteous wrath against sin and a warning against it and a rebuking of sin and sinners. It is Law preached in such a way that bad things, bad people or bad situations are lamented in doleful tones. It sounds often like this, “Isn’t it sad when….” or “Have you ever…..” and the tone is one of sounding “oh, so sorry about that” and “shouldn’t we all feel bad” about this problem. Then the sermon goes on to offer encouragement and support for getting out of our bad and negative feelings and circumstances. The Law is soft, the Gospel therefore comes across as antidote to feeling sad and bad. I face this temptation when I preach. I want so much to make people feel better, to feel good, to leave feeling positive. That can get in the way of good Law/Gospel preaching. I would say this is what I’m hearing more and more in pulpits. Law becomes simply lament. Gospel becomes simply encouragement and reassurance. Public speaking, once one becomes fairly good at it, is a place where one’s personal ego can really get in the way of God’s Word. It is so tempting to get wrapped up in the moment and begin to feel a need to amuse, delight and entertain the listeners. Now, granted, the use of the classic art of rhetoric is important, but it is tempting for preachers to work very hard to elicit a laugh, a chuckle, to amuse, to entertain. They mistake audience reaction with effective preaching and they mistake emotionally manipulating the congregation with preaching God’s Word effectively. The problem with the entertainment temptation is that often the effort to entertain and elicit a positive emotional reaction from the congregation causes the preacher to neglect the doctrine in the text he is preaching on, to neglect, frankly, the Scriptures, and to spend an inordinate amount of time developing his story that he just knows will get the kind of response he is looking for. Public speaking is heady stuff. I have been tempted to go for the cheap line, the little quip, the comment I know will get chuckle and spend too much time on that, than on preaching God’s Word. 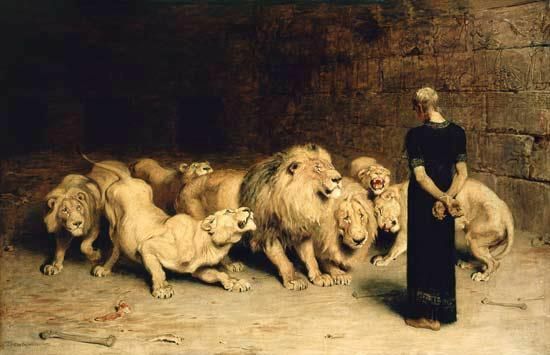 And here again, in this context, Law is neglected, or ignored, because, after all, the Law is not “upbeat” it is not “entertaining.” It will not delight and amuse people to hear that they, by nature, are poor, miserable sinners who have nothing but wicked, evil deeds to offer to the holy and righteous God. And when the Law is neglected, the Gospel then loses the force of its power to convert and regeneration. In such a context, the Gospel is watered down to be part of an entertaining experience for the listeners. This is quite an insidious temptation that I think we all have fallen into, nearly totally. For many centuries, and even millennia, in the church’s history, sermons, where they were taken seriously, were thirty, forty or even sixty minutes long. The sermon was the opportunity for the pastor to preach and teach God’s Word carefully and thoroughly, from Sunday to Sunday, but then, sermons that were forty-five minutes long, became only thirty minutes, then they dropped to twenty minutes, and now it is often the case that sermons now are only twelve, or ten or even eight minutes long. Simply put, these are no longer sermons, they have become rather formulaic quick devotional thoughts. There is not enough time carefully to delve into the text, and open it up to hearers. A text become more a pretext for the sharing of what becomes quite repetitive themes: some talk of something bad, some talk of Jesus taking care of it all for us, and then there may be a reference to the Sacraments. Preachers are tempted to do this when they know that there is a full service with Holy Communion. It is tempting to skip lightly over the text and instead use the short time I have to make a couple devotional points and then get on to the Sacrament of the Lord’s Supper. I love the Sacrament of the Lord’s Supper and love that we celebrate it every corporate gathering on Sundays. The Sacrament of the Lord’s Supper must never become an excuse to make our sermons shorter and less substantial. We are the Church, the Body of Christ, and the fellowship of Word and Sacrament. I think that we are forgetting this. This temptation is characterized by a preacher managing to “find” in any Biblical text, a pretext for him to yet, once more, grind his axe on his hobby-horse issue, or subject, or theme, no matter what it might be. The hobby-horse might be quite correct and what the preacher says about it is quite true, but it is a temptation preachers face to turn nearly every sermon they give into an opportunity once more to repeat the same issues, over and over again. Perhaps he will be wanting to talk always about the liturgical practices in the parish, to turn every sermon into a little discourse on some point of church history, or to keep referring to some particular event or trend in society. Every sermon manages to include a reference to the issue that is really “bugging” the preacher and it comes out in his sermon. I am tempted to do this when I find myself wanting to warn people against the “feel good/health and wealth” prosperity preachers. I find that I can easily find myself bashing this error in every sermon. And while I’m perfectly correct in my warning, it is not appropriate for me to hijack every sermon on every Biblical text, to interject my own particular agenda. The Lectionary is a good corrective, and if the preacher resolves actually to preach on the subjects, issues and topics that flow naturally from the Lectionary readings, there is much less of a chance that the preacher will fall victim to the “Axe to Grind” temptation. How many more temptations could be added to this list? To review, kerygma is the Greek word κήρυγμα kérugma, translated proclamation or preaching. 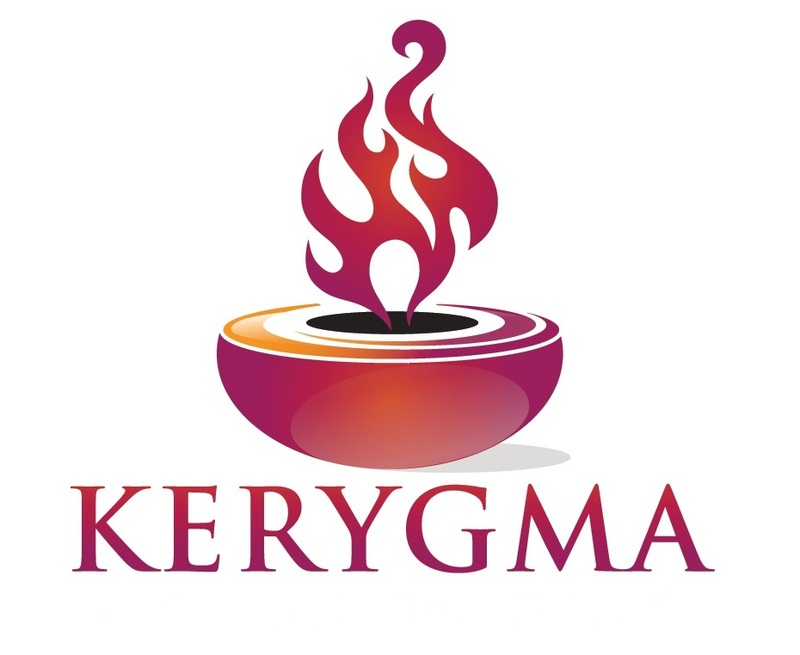 The Kergyma is proclaiming the Gospel of Jesus Christ in spoken words, or even proclaimed in the celebration of the Lord’s Supper. It is the proclamation of Jesus redemptive work. It is the proclamation God’s story of the history of redemption from the beginning of creation. Proclamation was usually followed by teaching and instruction in the elements of the faith, or the reading of a Creed. What Jesus did and taught in His ministry was included within the basic proclamation. The Age of Fulfillment has dawned, the “latter days” foretold by the prophets. This has taken place through the birth, life, ministry, death, and resurrection of Jesus the Messiah. By virtue of the resurrection, and His ascension into heaven, Jesus has been exalted at the right hand of God as King of Kings – the Messianic head of the new Israel. The Holy Spirit in the Church is the sign of Jesus’ present power and glory. The Messianic Age will reach its consummation in the return of Jesus. An appeal is made for repentance for the forgiveness of sins, the gift of the Holy Spirit, and salvation. Jesus the Messiah, of course, was the center of this ancient kerygma. The cross, the resurrection, and His ascension to the right hand of Majesty are crucial to the kerygmatic preaching of Messiah Jesus. 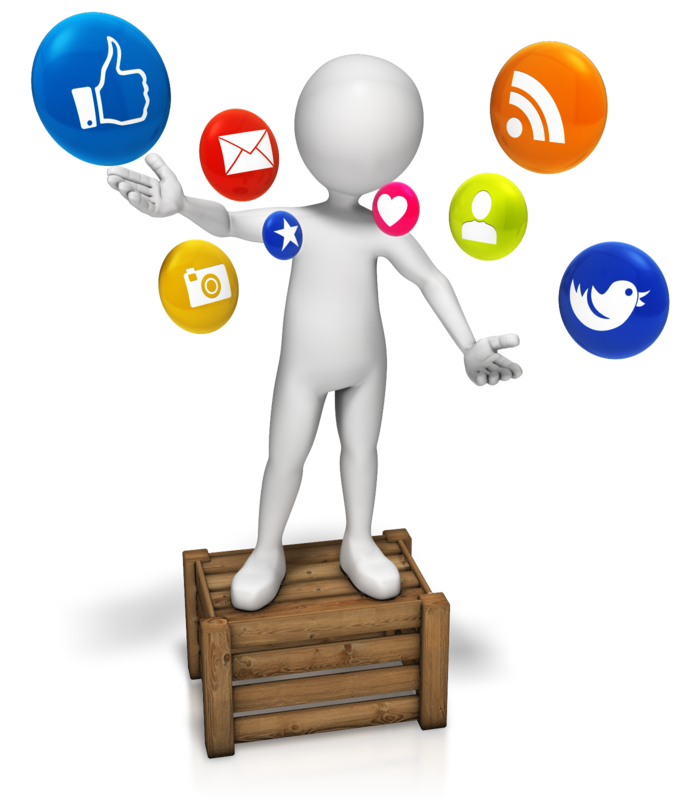 Kerygmatic preaching is not a technique that can simply be learned by articulate spokespersons, it is a relationship that must be received, experienced, and thereby announced. Sola Scriptura, What Has it Done? I was thinking today about Sola Scriptura, which means Scripture Alone. 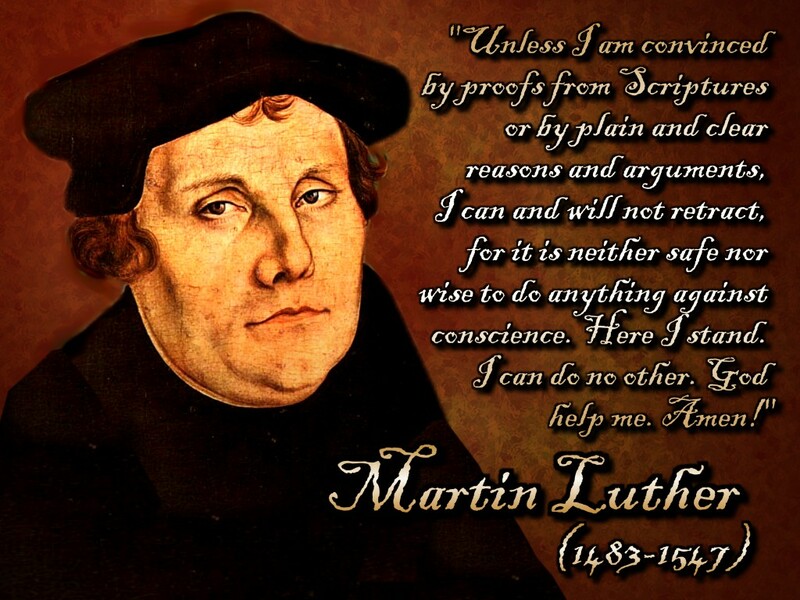 This was and is the clarion call of the Protestant Reformation. It was an announcement that the traditions of the Roman Catholic Church were contrived from the human mind, and did not agree with canon of Holy Scripture. Both the Roman Catholic Church and the Eastern Orthodox Church declare that Holy Tradition existed before the canon of Scripture was finalized. The Orthodox Church says that it decided upon what we now have in our hands, known as the Bible. From the Orthodox and Roman Catholic Church viewpoint, Sola Scriptura has been the instrument of division from the beginning of the Protestant Reformation. There have been statements issued by the Roman Catholic Church and Eastern Orthodoxy about how many thousands of Protestant denominations there are. However, it remains a fact that even from within Roman Catholicism and Eastern Orthodoxy there have been divisions. There are many “Catholic” churches and “Orthodox” churches. Therefore, it is not just within Protestantism that the Church has divided. It is sad that the Church has divided and still continues to divide for one reason or another. I love the Church. R. C. Sproul (1) makes an interesting comment on a misinterpretation of Sola Scriptura, that Roman Catholic’s and the Eastern Orthodox tend to dwell on the Anabaptist error which ended up becoming Solo Scriptura, which means basically that all a Christian needs is himself and his Bible. This is not what Sola Scriptura means. Sola Scriptura means, “Instead the Bible is our alone final authority because it alone is the Word of God. It has been attested, authenticated, by God Himself. Miracles serve as the divine imprimatur, the proof that this is a message of God.” When you get right down to it, there are innumerable volumes of “traditional” writings in the Roman Catholic Church and within Eastern Orthodoxy. Which one of all of the volumes is infallible or inerrant? Can either come up with an authoritative list of their traditional writings? I am not discounting tradition. The Apostolic faith was handed down, for St. Paul declares, “So then, brothers, stand firm and hold to the traditions that you were taught by us, either by our spoken word or by our letter.” 2 Thessalonians 2:15 (ESV) We have received those traditions in Holy Scripture. It is true that it has been a dangerous thing, the human being interpreting the Bible for himself. It is equally true, I am sure that division has been caused by misinterpretation. However, what I have seen within the Church are traditional statements regarding the Christian faith. That of the Apostles Creed, the Athanasius Creed, and the Nicene Creed – all are based upon the traditional timeless truths revealed in Holy Scripture. Most of the Church adheres to these Creeds, Eastern Orthodoxy, Roman Catholics, Lutherans, Baptists, Methodists, Presbyterians, Pentecostals, Congregationalists, and everyone in between. I admit Sola Scriptura has been the cause of error. The fact of the matter remains, because of Sola Scriptura, there are distinctives within each of the above “traditions” of Christianity that differ from one another. It is appalling that some would fain to do away with Christian traditions. The various Christian traditions have distinctives about holiness, the sacraments, the ordinances, the mysteries, the person and work of the Holy Spirit, the gifts of the Holy Spirit, the sovereignty of God, mode of baptism, pedo or credo baptism, church government, etc. Therefore, Robert Rothwell (2) says those “of the Reformed tradition devoted their lives to the study of the entire counsel of God, it seems that all too often we do not do the same.” I am sure that our sinful human nature has got in the way dividing the Church into each and every “denomination” that has ever existed. I swam through three streams of Christianity on my journey of faith, the Reformed/Evangelical, The Sacramental/Liturgical, and The Pentecostal. Because of Sola Scriptura, there has been a convergence of these streams within me. I adhere to the Reformed tradition, the Sacramental/Liturgical, and the Pentecostal. There is a convergence of worship. Thanks be to God, I belong to the Church. The Church of the Living God is the Church that Jesus said He would build, and He will complete the building as He has intended. The Church, His Bride will be presented to Him, pure and blameless at His coming. Build Your Church Lord, refine her, clothe her, establish her beauty in You! Maranatha, come Lord Jesus! 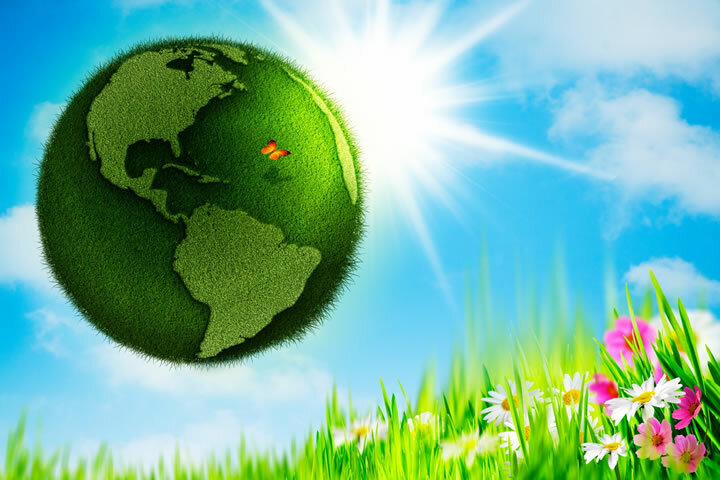 Today is Earth Day, all over the world and here in Minnesota. God has given humanity the responsibility to care for this earth. Have we done so? I don’t think we have. With the rise of technology, and the knowledge of how to turn rock into steel, we have come to pollute our air and waterways. From the orthodox Christian point of view, life is eucharistic. The word “eucharist” means thanksgiving. It is used as the definition of the Sacrament where we receive the body and blood of our Lord Jesus Christ. But in viewing life and the creation, we must see it all as a Eucharistic celebration. The celebration is the outcome of being responsible for our earth and all of its contents. This life we live, and this earth we live on, was a life of communion with God. When Adam and Eve sinned, we lost the earth as a means of communion with God. The earth before the fall of humanity was filled with the Divine Presence of God. Since then, and now, the earth appears void of the Divine Presence. The Holy Scriptures tell us that in God “we live, move, and have our being.” That includes the earth! When we purposely destroy rain forests that disrupt the ecology; when we purposely shoot pollutants into the air creating holes in the O-Zone layer, we go against the sacramental meaning of our relationship to this planet. God gave humanity everything it needed to survive. God gave us fruit, vegetables, and plants to eat from. But then, after the fall, and after the great flood of Noah’s time, God allowed us to eat meat. This isn’t a plug for being vegetarian, but humanity was vegetarian in the beginning. The killing of an animal is opposed to the understanding of our relationship with the earth and all of creation that God inherently gave us. Fr. Alexander Schmemann wrote in his book entitled Holy Week: A Liturgical Explanation for the Days of Holy Week, “…world and food, once they are deprived of their initial sacramental meaning as means of communion with God; once they are not received for God’s sake, and filled with hunger and thirst for God; once, in other words, God is no longer their real “content,” can give no life, satisfy no hunger, for they have no life in themselves.” This is what has become of humanity. Nothing satisfies, so we go for more. Nothing gives life, so we think we can create it. Our hunger and thirst is not for food or that which satisfies, but it is a hunger and thirst for union and communion with God. As we celebrate “Earth Day” today, let us look to God as our source, as our satisfaction, and the One who fills our hunger and quenches our thirst. For nothing is more important to the earth today, than our coming back to what was once sanctified; what was once transformed into a world of thanksgiving and adoration of God our Creator. Let us yearn and repent toward a more perfect eucharistic life, that is filled with God, and watch it become again a Divine and immortal life that He has given to all humanity especially to those who believe in Him.